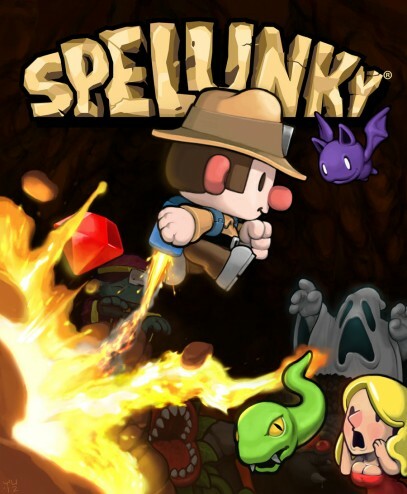 I’m usually spot-on when it comes to gauging how much time I have spent with a particular video game, for good or ill. With Spelunky I was genuinely surprised when Steam informed me I had poured nearly fifteen hours into the game. Where did the time go? Post-revelation I tried to get a handle on many times I’ve gone from “Ready Player One” to “Game Over” in this procedurally generated platformer/dungeon crawler. Assuming I don’t derp out and die within the first two minutes of a game – it happens more than I want to admit – I usually last about eight minutes per play through. So a conservative estimate of my deaths and reincarnations in Spelunky numbers at least 100, and I keep going back for more. This is the kind of old-school game compulsion I haven’t felt since the Teenage Mutant Ninja Turtles arcade machine, or that year in university when the student union rented a Starship Troopers pinball table. Some game history: Spelunky is the creation of Derek Yu, a game designer who released the title as freeware back in 2008. For the record, I probably spent about five hours playing that version of the game before having a “Shut up and take my money” moment and buying the HD version, which was released on XBLA on July 4th, 2012 and then on Steam in August of this year. The design is simple but absolutely elegant. The player guides one of about twenty unlockable characters through an ever changing and completely destructible series of levels. Along the way you collect treasure which can be traded for basic climbing equipment, bombs, or an arsenal of weapons and gadgets. Health is limited, easily lost, and difficult to regain. A plethora of booby traps urge caution as a player descends from platform to platform, but an unseen timer – manifesting only as a change in music that heralds a ghost whose touch causes insta-death – drives a player forward where they might otherwise be inclined to creep along. Part of the motivation to keep coming back for more is the daily challenge feature. Each day players from around the world get a single shot at the same procedurally generated level. I’ve haven’t yet to be able to break the daily top 500. But knowing that every day is another shot at defeating whatever Aztec/Mayan/Indian god(s) is/are controlling Spelunky’s vertical labyrinth is a pretty strong mobilization of player ego. The fact that success is measured in level progression and treasure accumulation adds another layer to the ongoing competition. It’s tempting to break the bank on a rocket pack, knowing that I can’t take the money with me when I die. But the issue at hand then becomes living long enough to recover the cost of the investment. Alternatively, I’ve played it safe, hording my money to drive up my standing that way. These sorts of quick decisions form a nucleus from which all of Spelunky’s brilliance emerges. A lot of games talk about player consequences and decisions but still end up in the same place – I’m looking at you BioShock. Spelunky makes those consequences immediate and only occasionally catastrophic. Do you save the girl trapped on the level, knowing that she will bestow some precious extra health, or do you sacrifice her on Kali’s altar in exchange for a jet pack? Do you buy climbing gloves to stick to the walls Spider-Man style or spiked boots for to jump on things with all the gusto of Super Mario? Sometimes you’ll make the right decision and set a new benchmark for progression. Other times you’ll live just long enough to regret the mistake. Either way, you’re probably going to die and the experiences that you gained won’t matter because the next board will usher in a new set of variables. Know then, dear reader, that you are going to die, be it from arrows, spikes, or the shotgun of an angry shopkeeper who has just had his store smashed by an Indiana Jones boulder that fell from the walls after you snatched a golden idol. 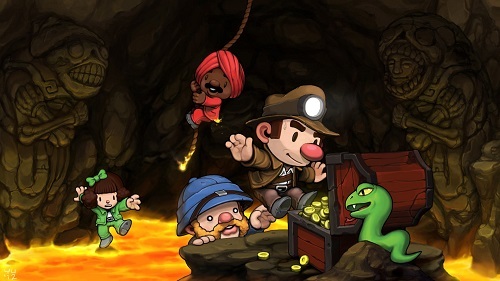 Spelunky is probably going to kill you more than Dark Souls ever could. The difference is Spelunky kills with a smile, knowing that a player’s death is part of the game’s seemingly endless arcade charm. Think you’ve got the right stuff to be a treasure hunter? Here’s a link to the freeware game. Enjoy your weekend.